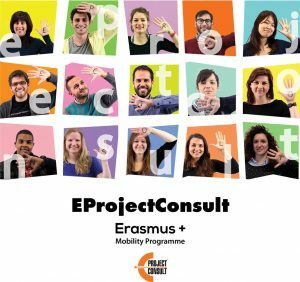 Today, 11th of July 2012, the Eprojectconsult office is finalizing the organization of the upcoming Leonardo da Vinci Mobility program which title is “EUproInternIII”. This project, which see as sending partner the Fairbund German organization (http://www.verein-fairbund.de/), will be coordinated in Sicily from the Italian “A Rocca” NGO and will involve 5 selected German participants which will make a training and learning experience from the 5th of August 2012 until the 29th of September 2012. After 1 week of Italian Course, which will consist on 4 hours of intensive lessons from Monday 6thuntil Friday 10th of August, the participants will be inserted in selected hosting organizations which daily operate in the frame of culture, social & pedagogic work, immigrants and tourism. Our organization found as accommodation a lovely house situated in the center of Milazzo, a nice city in the province of Messina, in front of the Aeolian Islands which distinguishes itself for its night life, its beaches and its touristic port. Despite the interesting tasks which will be assigned at work to our participants according to their skills and expectations, we are preparing for them a very interesting intercultural program: weekend excursions, pizza’s night, cooking courses, bonfire, etc. So, stay tuned if you are curious to read soon their comments and experiences!